We had a great time hosting our first workshop! 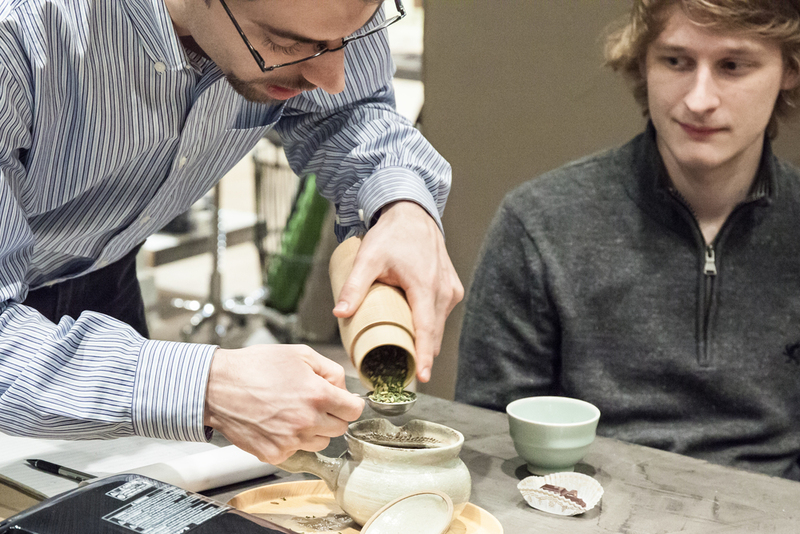 To kick off our in-store workshop series, our resident tea brewing expert Kylan hosted a free green tea tasting with chocolates from Shane Confectionery, one of our favorite Philly chocolatiers. We had a blast learning about all the different cultivars of our in-house Morihata tea label, and sampling five flavors along with pieces of Ecuadorian and Peruvian dark chocolate. Ahead, a few snapshots from our night. Thanks to everyone that joined us, and to Kylan for his expertise! Stay tuned for upcoming events and workshop updates at our concept store on Instagram or Twitter. Up next is a lecture from photographer Vince Feldman in April. Visit our Store Events page to RSVP and learn more about this free event.